We here at The Good Fight would like to give a big shout out to Keevin Allicock for representing Guyana’s Forgotten Youth Foundation at the 2018 Commonwealth Games happening right now in Carrara, Australia. The Forgotten Youth Foundation was established in 1998 by former boxer and boxing promoter Keith Bassilio, in a partnership with veteran coaches Winstel Thomas and Fat Boy Callendar. Located in the neighborhood of Albouystown, which has traditionally been stigmatized as one of Georgetown’s most dangerous slums, FYF stands out from other boxing gyms by the social goals at its core. The FYF operates on the belief that boxing can serve as an important tool in the positive development of marginalized youth, and that boxing clubs and coaches can play a role as spokespersons and advocates for their community. Under the guidance of coaches Sebert Blake and Joseph Murray, the FYF equips boys, girls, young men and young women with the discipline, work ethic and confidence necessary to succeeded in a life fraught with challenges, in addition to promoting physical mastery and self-defence. Since its founding in 1998, the FYF has produced a number of exceptional fighters who have made their mark on the national and international stage, including one-time WIBA world bantamweight champion Shondell ‘Mystery Lady’ Alfred, and former WBC Cruiserweight champion Wayne ‘Big Truck’ Braithwaite. 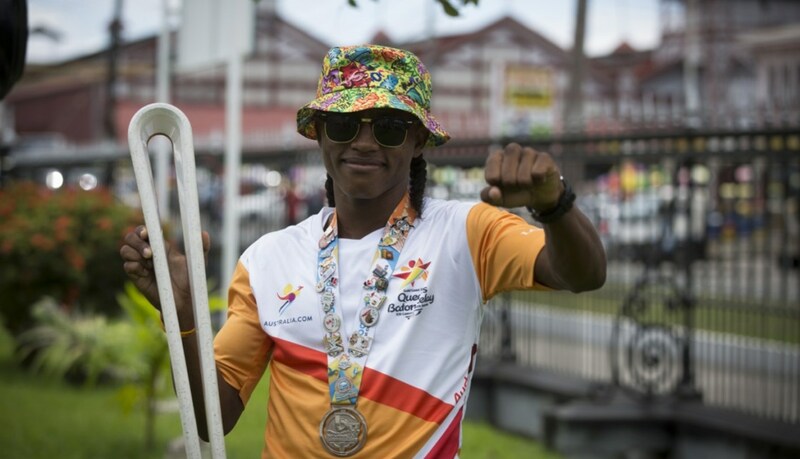 The 19-year-old flyweight Keevin Allicock is the FYF’s newest rising star, having previously taken home a silver medal at the 2017 Commonwealth Youth Games in The Bahamas, and prior to that being awarded Best Youth Boxer in Guyana after dominating a 2015 national under-16 tournament. Although Allicock lost his bout in the men’s 52kg class to Scotland’s Reece McFadden, we applaud his hard work and dedication and are proud, as we always are, to see the FYF represented on the international stage. Allicock now returns to the gym with his sites already fixed on a new goal: the 2020 Tokyo Summer Olympics.